UCCFS Round 3: French Fries (1) vs Ribs (4) – I Love It Spicy! It is hard for me to see French Fries being a number 1 seed and Ribs just a 4, but that is how the ranking went early on. Yet, who is the real favorite here? This is going to be interesting. Potatoes vs Pig! Share your thoughts with your choice. Gotta go with the ribs. 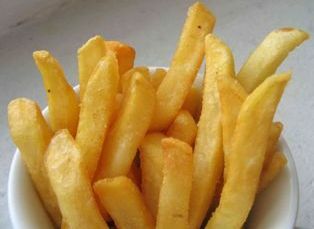 I love fries, but they are a run of the mill everyday kind of a thing. Agreed, Art. Run of the mill, plus some fries are just so…bland. Ribs — so much more room for different hot/bbq sauces on ribs. Fries are generally fries. They’re good, but there’s only so much you can do with them. Thanks for your input Dean, and welcome to ILIS. gotta go fries, a nice warm box of fries in the car for a quick snack…..that’s comfort food. 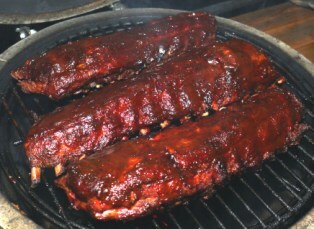 Ribs, while fitting many comforting elements are more of an art.